In need of some woodwork? Chances are you’ll want to hire a Kenner, LA carpenter. Carpenters work with all types of wood and can specialize in many different areas, including framing, finishing and custom-made furniture. Make sure you choose the right Kenner carpenter for your job by asking plenty of questions, viewing their past work and reading reviews. TKJ Custom Designs specializes in artisanal custom-built furniture such as tables, benches, candlestick holders and much more. 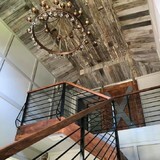 Southern Wood is a curator and artisan of specialty wood products, focusing on cypress, antique, and reclaimed wood. 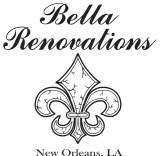 Small construction company specializing in hardwood floor refinishing, repairs, and installations. We also install tile flooring, kitchen and bath renovations, interior/exterior painting and all types of trim/carpentry work. 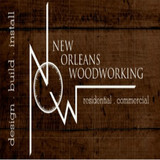 We are a design and production firm specializing in custom wood and metal work. We have the production facilities and skilled craftsmen to handle any job. Design, build, install, we do it all! Whatever you can imagine, we can build. Pisciotta Woodworks has been in business since 1993 with a reputation for dependability, quality and excellence in craftsmanship. The Hammond Daily Star newspaper’s prestigious “Reader’s Choice Best of the Best” award has been awarded to Pisciotta Woodworks a number of times In 2006, our company expanded to encompass a moulding division after encountering difficulty in finding readily available unques styles of moulding in a variety of woods. Pisciotta Woodworks and Mouldings Company now offers you quality and excellence in craftsmanship in moulding, as well as cabinetry. Browse through our catalog of standard molding knives that we presently have available. All are made by the prominent Charles G.G. Schmidt and Company. WM Construction Services, LLC is a subcontractor founded in 2010 by Wenderson Rocha. We specialize in Framing, Siding, Gutters, Roofing. Commercial and residential construction. Our company holds state license and insurance in the state of Louisiana, we have experience with multi family housing as well as single residences. Even though the company is new in period of time, Wenderson has over seven years of experience in the construction industry. Our motto, "fast with quality work", to get the jobs done in a timely manner and with 100% inspections, we furnish quality work and reliability. Wenderson and myself work closely with every client/superintendent and offer solutions as needed on pre construction, during and post construction. "Fast with quality work" as well as good/open communication guarantee our mission outcome with the company we work for as well as their client’s expectations.